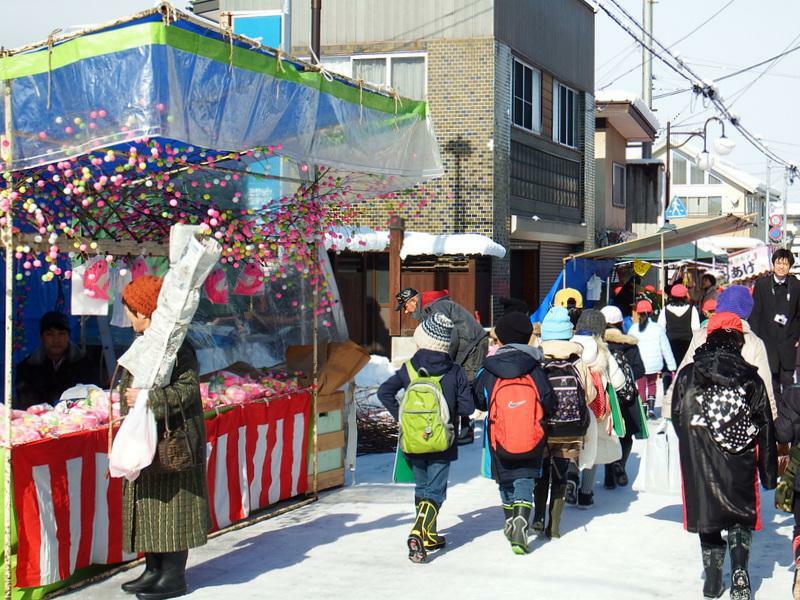 The annual "Yamanobe-machi first market" is traditional event having been continued since the Edo era on the New Year. "The old calendar first market" is held "the new first market" on Saturday, February 16 on Saturday, January 12. Honcho, the station square, Nakacho Street are lined with branches such as dumpling Thu of lucky charm and the first rain, woodwork and show bustle with every year many crowds. In addition, free behavior of very nutritious "Koikoku stew" and warm "amazake" which we fully used carp of town special product for is performed. ・The new first market　Saturday, January 12, 2019 from 9:30 a.m. to 4:30 p.m.
・Old calendar first market Saturday, February 16, 2019 from 9:30 a.m. to 4:30 p.m. 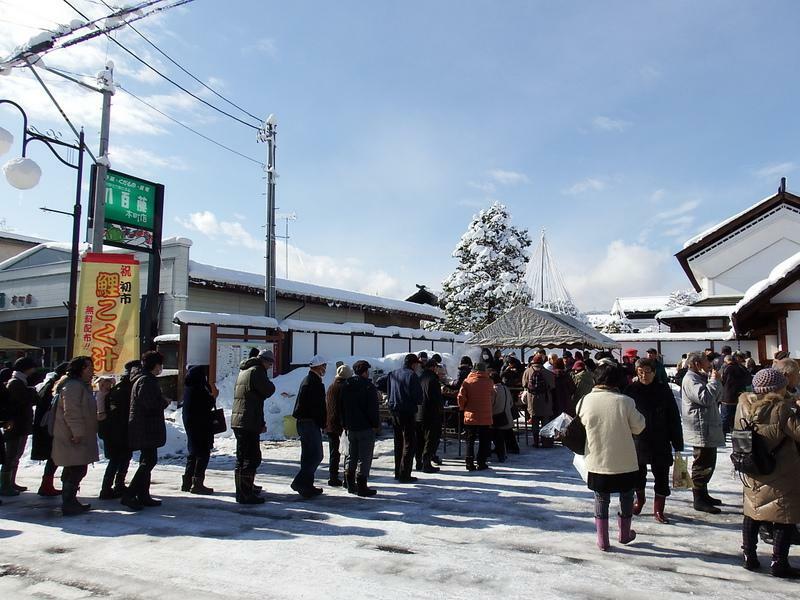 In addition, tourist information center "sudamari" becomes free rest station. As you prepare for hot tea and coffee, please drop in casually. 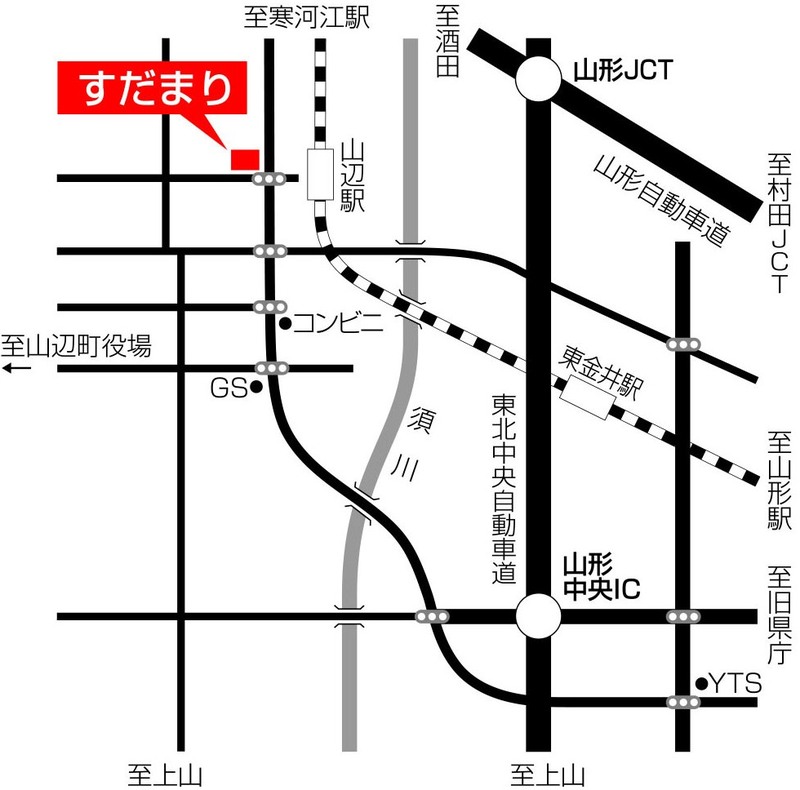 http://samidare.jp/agasuke/box/sudamari_map.jpg open for from 10:30 a.m. to 4:30 p.m.